We had a beautiful Spring day yesterday. It was in the mid 70's with an every couple of hours heavy downpour. I took this around dusk in our backyard. 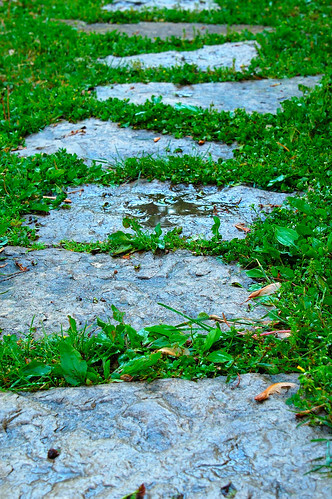 It's obviously a path made from stones and it was just after a rainfall. The temps are supposed to get in the mid 80's by Saturday, 90 by Sunday, and stay in the mid 80's early next week. Very cool for Memorial Day weekend.